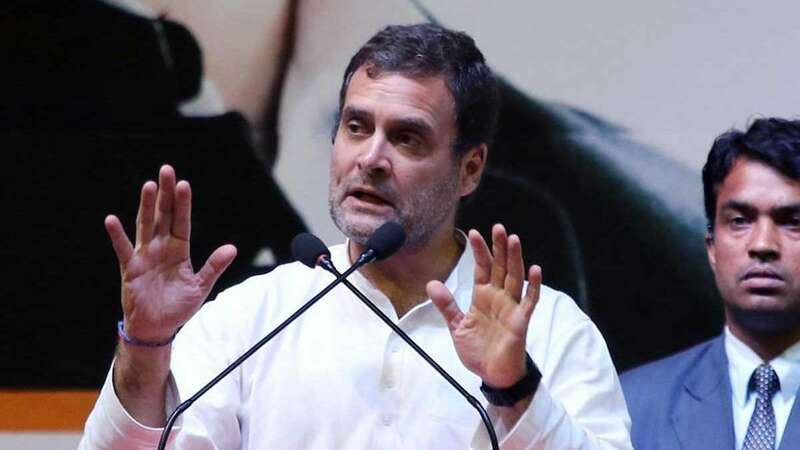 New Delhi : Congress has sought an apology from the Prime Minister over his comments on Rahul Gandhi's candidature from Wayanad in Kerala; PM said that Rahul chose the seat because he is scared that Hindus will punish him for 'Hindu terror' remarks. Addressing a press conference, party spokesperson Randeep Singh Surjewala also asked the Election Commission (EC) to take an action against him. "He must apologise to the nation. He has insulted the freedom movement, he has insulted entire southern India, he has insulted the composite culture of India, he has insulted the India that is unified by its multiple cultures as also languages, religions, castes and creeds. The Election Commission must take note of this and take action against Narendra Modi," Mr Surjewala said. "By alleging that Rahul Gandhi is contesting form Wayanad on account of residents of a particular religion living there is a disgrace to the high office PM is holding," Mr Venugopal said in a statement. The Congress party claimed that Wayanad constituency in Kerala reflects the composite culture of various communities and religions who thrive and live together and was land of "lion of Kerala". "Prime Minister was not only disrespecting the people of Wayanad but also insulted the freedom movement," he said, adding that Modi "insulted the entire Southern India". "Looking at the imminent defeat, a frustrated and flustered Prime Minister has shed all sense of responsibility of the high office he holds, and broken every constitutional norm and every norm of the public life that a person holding such a high office should uphold by alleging that Rahul Gandhi is contesting Wayanad seat as people of a particular religion live there," the Congress leader said.